It’s natural to want to buy toys for your new baby, but how do you know what to choose? How much notice should you pay to the age markings on toys? Are they there just for safety reasons or is there more to it than that? It’s important to understand that play is vital for babies. It helps them develop their social, cognitive and physical skills and strengthen the emotional bond that’s growing between you. Playing games enables them to start to understand the world around them, but you need to take care that the toys or games are not too complex for their developmental level, otherwise they become frustrated and stop engaging with you. In the first twelve months babies use their senses, particularly touch, to explore. It takes them a little time to work out how to make the most of those strange appendages with fingers, so much of their exploration involves the use of their mouths and tongues. Their eyesight is still developing but they are able to see strong contrasts and bright colors. Their memories aren’t fully formed either, which is why they are happy to repeat the simplest of actions over and over again. They’re also learning about object permanence: that something can still exist, even if it’s out of sight. 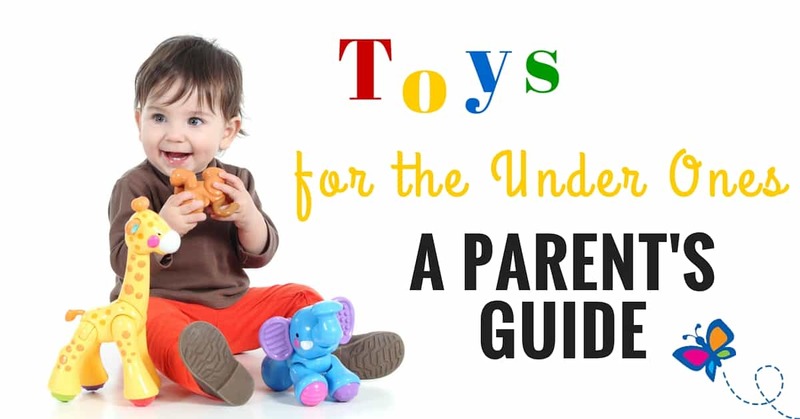 Toys with different textures, colors and sounds are ideal for babies of this age. Since all toys will inevitably end up in their mouths, you need to make sure they are robust, don’t have sharp edges, can be easily cleaned and are regularly checked for damage. If you’re on a budget you can put together some simple toys such as filling a bottle with rice and a few small objects for them to search for inside. Empty yogurt containers make ideal bath toys, you can punch holes in the bottom to make them even more entertaining, and even wrapping paper can provide endless amusement as your child experiments with its sound, taste and texture. Play doesn’t always have to involve toys either. Babies this age love playing peek-a-boo and nursery rhymes are always a winner. They’re fascinated with the human face and will be happy watching your expressions. Let them see themselves in a mirror and they’ll have fun watching the other baby copy them. They won’t realise it’s their reflection until they’re around six months old. Play is a vital way for children to develop the skills they’ll need for later life and choosing the right toy is key in supporting that development.